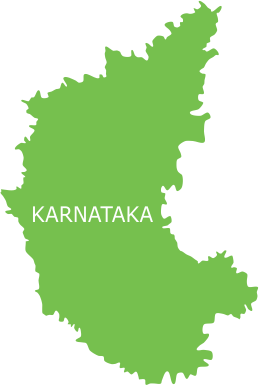 Bangalore is called the Silicon Valley of India because of its advancements in the software industry. But not all parts of Bangalore are as advanced, there are places where people do not have a proper place to live in and two square meals to eat. The health conditions of the people in this place are not good and also they do not live in hygienic conditions. There is no proper health care unit in the areas that people can avail. Women suffer from anemia and children suffer from malnutrition. In order to take care of the health care needs of the people living in poor conditions in the slums and other areas Smile Foundation has launched a Smile on Wheels project in Bangalore in collaboration with Karuna Trust. The project was launched on the 17th of October 2012 to work mainly for the people of Yemalur and Doddakenhalli villages in Krishnarajapuram district. The salient features of this project are to make quality health facilities available to the people and promote a health seeking behavior among the people. The condition of women is also not good in these areas because the people are not literate and do not have any knowledge about the harms of early or repeated pregnancies due to which most of the women in these places suffer from anemia. 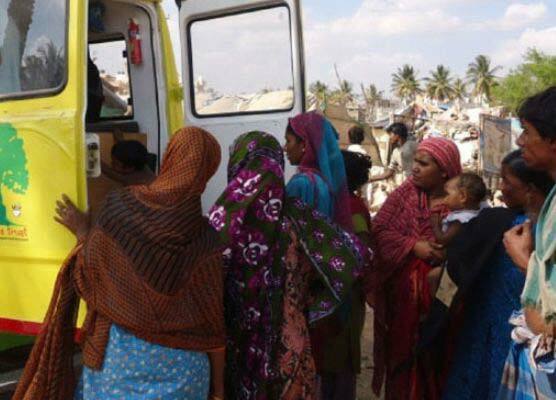 The awareness sessions conducted by Smile on Wheels have greatly benefitted the population, more so in the case of women who can now avail healthcare facilities and also take proper care of their children who were earlier suffering from malnutrition. To provide curative services for common communicable diseases, injuries and accidents. Patients are also being treated for common chronic diseases like diabetes, hypertension, chronic bronchitis, asthma, arthritis etc. Antenatal and postnatal care is provided to the mothers as well as immunization vaccinations to the small children. Emergency cases are referred to the headquarter PHC or the nearest PHC. Alternately, 108 is immediately contacted for the transfer of patients. First Aid services and counseling on matters like HIV/AIDS is also provided to the people. Immediate lab tests are also conducted so that diseases can be diagnosed at the earliest.